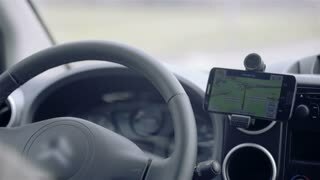 Steering wheel and following GPS navigation 4K. 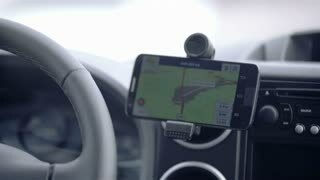 Close up of GPS navigation map on smartphone next to steering wheel driving on road. 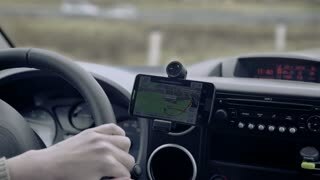 GPS navigation in car with woman driving 4K. Close up on navigation screen showing road to follow. 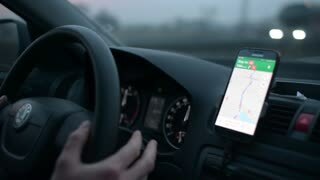 Smartphone navigation device. Female person playing with hair while driving. 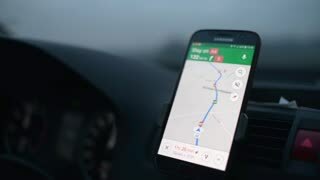 GPS navigation on smartphone showing route 4K. 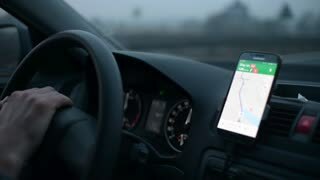 Close up on navigation screen tracking vehicle location and route while driving on road.